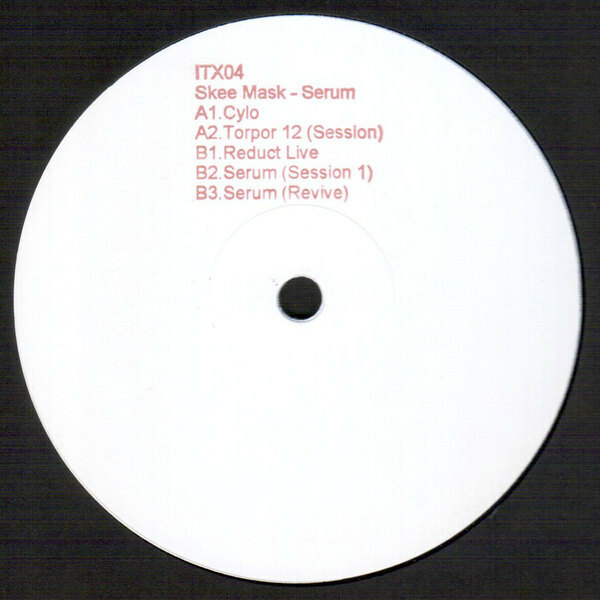 Killer debut drop from someone named Skee Mask on the scene-taking Ilian Tapes label. 'Serum' works in five stages flexing lean dub-tech muscle between the salted twitch and tuck of 'Cylo' thru the dessicated Dettmann styles of 'Torpor (Session)', and the Shed-alike breakbeat skank of 'Reduct Live' and two shorter tools diving deep into Chain Reaction territory. A must for T++ or Peverelist fans.